Your safari holiday plans must not leave you in debt. There are simple ways to save money when booking a safari in Tanzania. The first step involves learning how to plan an excellent safari itinerary. The second step involves avoiding those common mistakes travelers make. All these will be outlined and enumerated in our list of six most cost-effective strategies to employ. 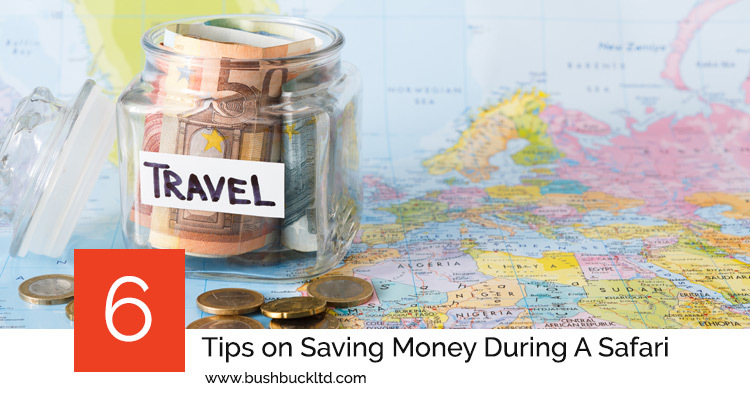 In this well-researched list, we will show you tried and tested ways to save money while planning the safari holiday of your dreams. The low season is generally during April and May. The off-peak season is during the month of March and also from 1st November to 19th December. During low season, there are fewer safari holidaymakers. The prices of flight tickets and accommodation are significantly lower during the low or off-peak seasons. There is also a higher volume of offers and deals. However, you must plan wisely. At low season, you might miss fantastic opportunities to experience the most fascinating aspects of a safari such as wildlife migration, game viewing etc. Consider booking your Tanzanian safari on the edge of the low season; a few days before the high season starts. This way you can enjoy a safari that offers all the pleasures of High Season all at a surprisingly affordable rate. And you won’t have to compromise on quality. Many people don’t know this: but there are budget safaris. Most of the time, these options are not published online. However, some safari companies such as Bushbuck Safaris in Tanzania make it easier for travelers to find budget safari options. A budget safari makes it easier for travellers to take advantage of low prices. So ask your tour consultant about these deals. It is also important to note that you can save a lot of money from booking a budget safari early in the year. Don’t wait until the advent of high season. Last minute safari planners often miss such superb deals. Many tour operators recommend activity-packed safari days in order to minimize the driving in the parks. This is because visitors are charged per day. Bushbuck Safaris prices are based on recommended or suggested itinerary opposed to the charges per day. As much as possible, your safari consultant will offer you an itinerary that will give you the maximum advantage of wildlife experience for each day. Rise before the break of dawn so that you can set out early enough to see African wildlife in their natural habitat especially in Serengeti. Embark on more game-viewing trips around sunset too. Mornings and late afternoons are peak period for game-viewing. You can spend the rest of the mornings and mid-afternoons basking in the warm tropic sun, tucking into some delicious local cuisine and engaging in other exciting physical activities. There are a good number of five-star accommodation inside Tanzania’s National Parks as well as budget-friendly options. There are also exotic, high-quality up-market lodges, camps and hotels outside of the national parks. Accommodation options outside the park gates are usually reasonably priced. You can save a great deal of money by booking one of these accommodations. The reason being you will not have to pay the mandatory concession fees which are applicable for accommodation that are located inside the park. When enquiring about your safari in Tanzania, ask your tour consultant to recommend the safest and most reliable accommodation options that are located outside the national park. It is a good way to reduce the holiday budget. Safaris in Tanzania seem to be expensive because the packages often feature trips to famous parks. Unfortunately, most of these parks charge very high entrance fees. While it is great to visit the Serengeti or Ngorongoro Crater, you may wish to consider cheaper and more exciting options. You can save a ton of cash by choosing to visit other known parks. For instance, Tarangire in Tanzania offers fantastic opportunities for wildlife spotting and the park entrance fees are cheaper than the fees in the well-known parks. Before you book your safari tour, do a little research. Some people yearn for a week-long safari; others yearn for more. Unfortunately, longer safaris cost more. However, it is possible to thoroughly enjoy a short safari. Such a trip can last for 3 nights and 4 days, and you can see a variety of wildlife too. This package is perfectly suited for anyone who wants a low-budget safari. If your holiday budget is relatively low, perhaps you should take advantage of a shorter safari package. Holidays are generally regarded as a luxury and safaris aren’t an exception. But trends are changing. If you are operating on a tight budget, you can find a way around booking that safari in Tanzania. All you have to do is consider taking a short safari option, visiting parks that have lower entrance fees, and traveling during low season.